Wisconsin and Minnesota together boast more than 12,500 miles of designated trout waters in more than 3,000 streams. Thanks to conservation efforts by governmental and volunteer organizations, fishing is better than it has been in decades. In this completely updated and expanded second edition, the authors have added information on many new streams. Veteran anglers Humphrey and Shogren describe their native trout waters with an evocative sense of place that conveys not only the details but also the experience an angler can expect. Features include: profiles of more than 120 productive trout rivers and streams; information on hatches, access points, and wading conditions; travel directions, map references, and information on nearby facilities; 55 detailed maps; hatch charts for the region's major hatches; advice on tackle, flies, and tactic; local hatch charts and fly patterns; information on tackle shops and guide services; and much more. 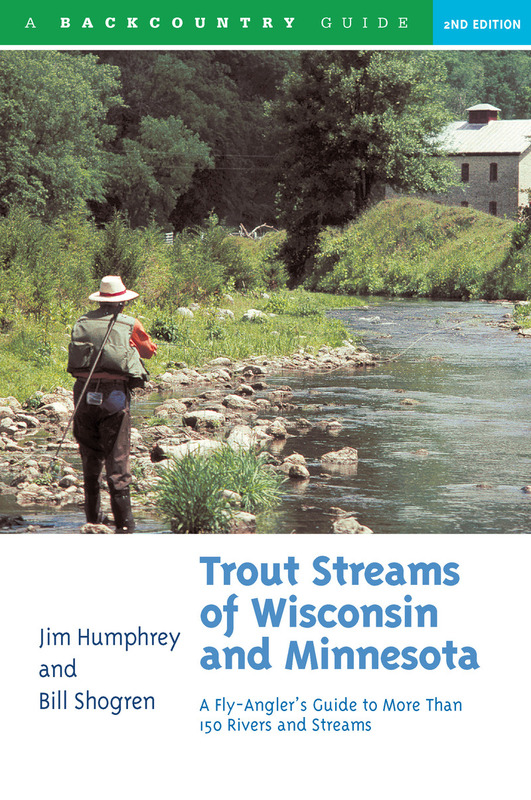 Jim Humphrey was born in Wisconsin and has written over 100 articles on trout fishing for Fly Fisherman, Minnesota Sportsman, and many other periodicals. He lives in Oak Park Heights, Minnesota. Bill Shogren, born in Wisconsin, is past president of Trout Unlimited's Twin Cities chapter and its Minnesota Council, and has fished for trout throughout the American Midwest and West. He lives in Eden Prairie, Minnesota.